SUGAR WHITE SAND - PRIVATE TROPICAL PARADISE! Hidden in plain view, this tropical retreat straddles the Gulf Coast between Naples and Marco Island. Tie up your boat on the 70' foot wooden dock on the intracoastal side of this approximate 1.82 acre property for a glorious day of beachcombing, sunning, fishing and strolling on a deserted isle. Or beach your boat on the calm and warm gulf seas and spend a beautiful day with the surrounding nature. Fulfill your dream. Envision your own beach house in Paradise! LISTING PROVIDED COURTESY OF Pamela S Watson, Downing Frye Realty Inc.
11303 Keewaydin, Naples FL 34101 is a Land, with 0 bedrooms which is for sale, it has 0 sqft, 104 sized lot, and 0 parking. 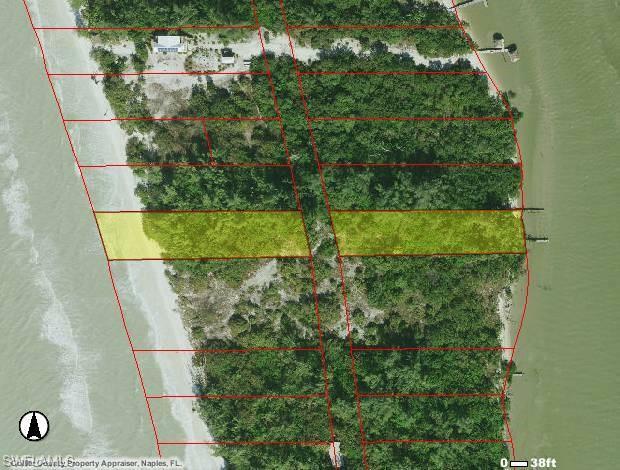 A comparable Land, has 0 bedrooms and 0 baths, it was built in and is located at 10611 Keewaydin Island NAPLES FL 34101 and for sale by its owner at $ 500,000. This home is located in the city of NAPLES , in zip code 34101, this Collier County Land, it is in the KEEWAYDIN ISLAND Subdivision, KEEWAYDIN ISLAND and ACREAGE are nearby neighborhoods.